Pacific-Tier Communications and Burbank N Beyond’s Innovators and Entrepreneurs had an opportunity to visit with Amy Kramer, President and Marketing Whiz, and Lee Wochner, CEO and Creative Strategist, at Counterintuity LLC, a Burbank-based agency focusing on Internet marketing. Amy and Lee discussed a variety of topics ranging from taking the risk with a start up company, to their visions and ideas on Internet marketing and social media, as well as why Burbank is a great place to run a business. 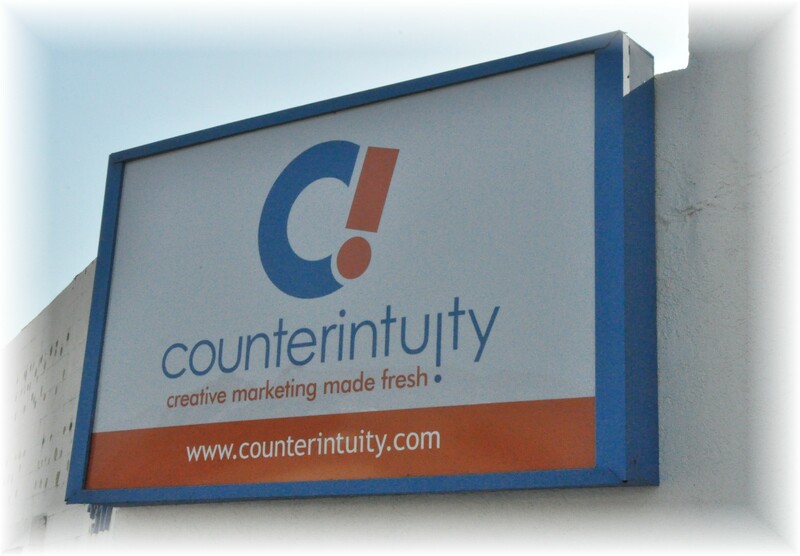 Counterintuity is a full-service marketing agency that has designed, launched and maintained hundreds of custom-built websites, digital marketing strategies, public relations, search engine optimization, social media campaigns, as well as identity and print pieces. PT-BNB: It is kind of scary doing a start up when you have worked in a corporate environment your entire life – how did you get started? Amy: Back in the late 90s I was working in direct response, in infomercials. And I was helping a very large product break into the web. So we were launching eCommerce sites doing email marketing when it was only text, and Lyrist was the only provider. And so right there at the very cusp of Internet marketing I was there with a budget. It was a tremendous opportunity. So after launching that product, then we’re into 2000 and it was really starting to grow, and the opportunities were really awesome. So I left the cushy direct response gig and decided to break out and do it myself. The there was an opportunity for Lee and I together to bring this Internet marketing product and series of products to small businesses and organizations. Because previously it was only available because the cost was so prohibitive. So we were able to bring it to a wider range of businesses and organizations. Lee: Amy and I already had a working relationship and I already knew she was a really smart digital marketer, we work well together, and I think it is a great time to be in business, it is an important time for entrepreneurship, and I think a lot of the problem in the country and in the world will increasingly be solved by entrepreneurial solutions. And so what we were looking to do was find a way to leverage those sorts of opportunities for smaller businesses rather than lock them out because they don’t have big budget. PT-BNB: Are smaller business a focus of the Counterintuity, does it make any difference what size a business is? Lee: It really depends on how you define small business. I think small business as defined by the federal government is 500 employees or fewer. So people, even in the Small Business Administration think they need to redefine that. We have clients who do a million dollars a year in revenue, sometimes a little bit less. And we have clients who do 200 million dollars a year in revenue or more. About a third of our clients are non-profit or public sector. So I don’t know if they really fit that profile. But the commonality among all of our clients is that they are looking to succeed in entrepreneurial ways in response to all of the changes in consumer patterns driven by the Internet. PT-BNB: On your website you show three majors areas which include social media, website design, and digital marketing. You wouldn’t have seen that 10 years ago, with social media being a focal point. What is the impact of social media? Why is that important for us to understand? Social media presents a suite of tools that allows you to capture word of mouth from all of the people you are connected to and spread it. There has always been a conversation about you, your product, and your service. Now you have more opportunity than ever to manage that, and to spread the word, and to turn other people into advocates for you online. PT-BNB: What does social media mean for the generation that is just graduating from high school and college, and what role do you play in being able to fulfill their need for having access to social media? Lee: What need does the typewriter fill? Or the quill pen? It’s not a marketing tool, it is a tool. A basic tool. It is a communications platform. It’s a way to connect everybody up, with all of their content. Some of the content might be “here is a picture of my kid.” And “here is the dinner we had.” I took a picture of my dinner in San Francisco the other night because it was so interesting, and I built a blog post around it. And then all these people on Facebook “liked” the picture of my dinner, and said they wished they’d had it. If that had been my client in San Francisco I would have linked to it. But see it was my life, and then I could turn it into marketing, but really it’s about the tool. When people talk about social media marketing, then I say we’re talking about communications. When you think about it, when you are born the very first thing you do is communicate. You cry, and then you start to breath. You are crying to communicate. Communication is at the heart of who we are. There is (traditional) scientific research that says we developed more than other primates because we have language, and because we have bigger brains. The new thinking is we have bigger brains because we developed language, developed synaptic connections, and grew our brain muscles. So language and communication are at the core of who we are. I try to talk to people and say “don’t focus on the tool.” If I give you the three basic ways to think about all the social media tools then you can do anything you want with them. Don’t get hung up on how seemingly complex there are, and how to use them. It’s like your car. I have no idea how the cylinders work. I just drive it. That’s how social media should work for you. Amy: And when you talk about the next generation, they are just using it (social media) in different ways. They don’t like talking on the phone as much. They like texting more. It’s a small, quick conversation. Turns out a lot of the kids are not into Facebook. Some prefer Twitter. Others right now are really into Instagram. It is a great way for them to share what they are doing, and what they are involved in. Visual storytelling. Again it is sharing information, it all comes down to what’s sharing what is going on in your life and telling that story. Whether it is for you personally, or whether it is for a brand. Kids today – email. Not as big with kids. They are doing Facebook messaging. They are doing DMs on Twitter. Just a text. It is a different way to communicate. But as Lee was saying, it is just a communication tool, it is just how new social media and new Internet platforms are helping them (young people) communicate. PT-BNB: What is the role of blogging? Amy: Blogging at its core is journaling. As marketers, we recommend it for our clients. And the reason we recommend blogging for clients is it is a way to build credibility and to expand your authority in your industry. When journalists are looking for folks to interview, where do you go? You go to LinkedIn to look them up, and generally the next place is their website. Then if you get to their website and want to look at what they have to say you go to their blog. Because that gives you a bit of insight into their voice and into their POV (point of view). So blogging is an entrée into PR. It is an entrée into getting more coverage, as well as if a client is looking for someone like you it can actually help your search engine optimization, significantly. Because it can give you opportunities to talk about what you do. So blogging is good for authority, it is good for search rankings, because the more content, and the more regularly you update your content on your website and your blog, the more highly Google thinks of you. Lee: Massive, huge. We’ve been doing more and more video for clients and for ourselves, and have been winning awards for it. It (video) has got to be brief, it has got to be interesting, it has got to make a point, and you need to share it. Put it on Youtube, Tweet out a link, put it on your Facebook, put it on your website, stick it in your blog, repurpose your content, because then people will see it more often. Amy: And it has got to be short. Attention spans are now teeny. It must play quickly. Lee: So if you go to our Youtube page you will see some of the videos we have done. We’ve been doing client videos and internal videos, and the great thing is you no longer need a massive budget. Now there are projects we’ve done for very large clients who have a budget, and we can go do what would be called a corporate-looking video. Then there are ways to do more guerrilla type video. We did a video recently for Center Theater Group, the Taper, Ahmanson, Kirk Douglass Theater. I and our video editor went down there and we did 13 setups and shot the whole video in about 4 hours. Because now the technology is such that you can go do that, be really mobile, really fast. We wrote the script in advance, went down and shot it, and then it took about a half a day to do the first cut on a laptop. We sent it to the client, the client asked for a few tweaks, and in just two days we had a complete corporate video for them. PT-BNB: Why did you decide to setup shop in Burbank? Lee: Burbank is a great place to do business. 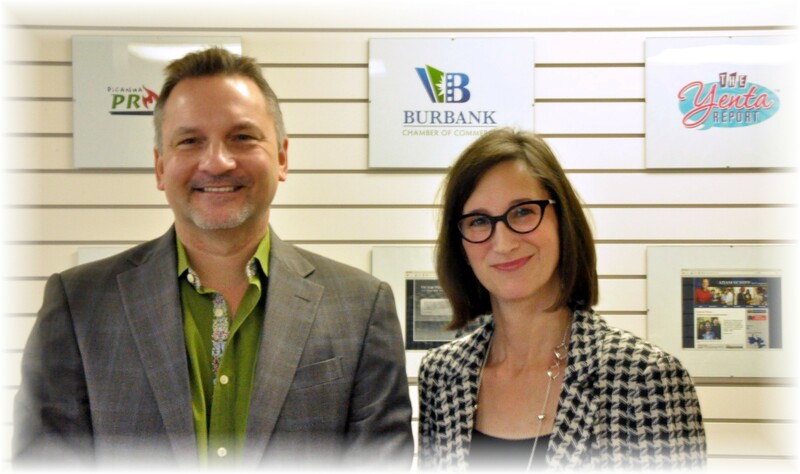 Burbank is a tight knit community, it is easy to do business here, and it is easy to become part of the community. The city has been terrific. We have personal relationships with all the city council members, the mayor, the city staff… Whenever we have had an issue or an opportunity they have resolved it very fast. They have worked with us, and we have nothing but positive things to say about the city. With regard to the Chamber of Commerce, the Chamber has been a key driver in our business. They have been so terrific at connecting us up, offering valuable services, and anything we can do with or for the Chamber we will do it. It is a great place to be, Burbank. Burbank is the home of the global entertainment industry, prominent in aviation, and a burgeoning Internet development community. Burbank Innovators and Entrepreneurs will look at companies and persons based in Burbank making an impact in their industry, with an emphasis on entrepreneurs, and those on the cutting edge of technology, services, and thought leadership. Innovators and Entrepreneurs will bring personal interviews digging into the motivations, challenges, successes, personalities, with visions of companies and people driving our business community into the future. 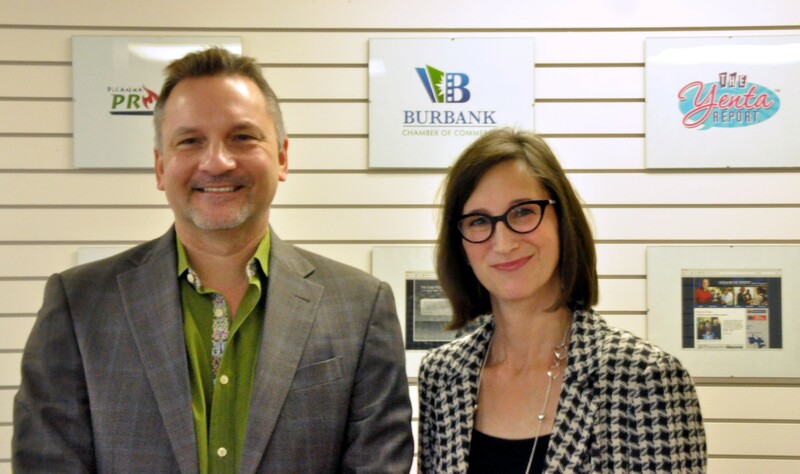 If you have a Burbank-based company or recommendation of a company, that is at the cutting edge of your industry, are an innovator, or an entrepreneur, and would like either Pacific-Tier Communications or BurbankNBeyond to highlight the activity, send a note to jsavageau@burbanknbeyond.com.